As always, make absolutely sure you know you have the right plant before you use it, and it is also a good idea to consult with your doctor. Plaintain is healing in all sorts of ways. 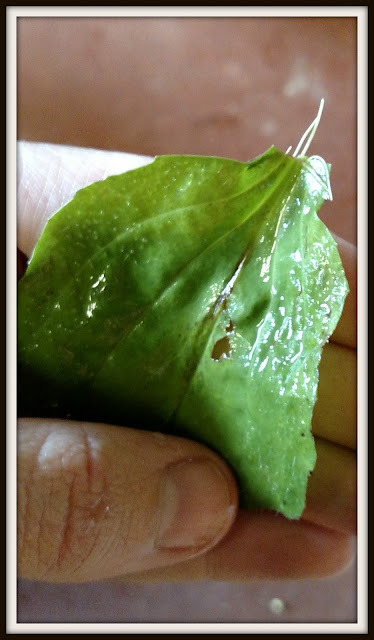 It is antibacterial and antimicrobial, which is why it is so healing for the skin. It can relieve diarrhea, and it can help a cough by assisting in expelling phlegm. Some say it can slow the growth of staph and TB bacteria. It eases heartburn and indigestion, and is also a diuretic. Plantain can stop bleeding and relieve pain, and it's no surprise that some believe it to be one of the most versatile of herbal medicines. 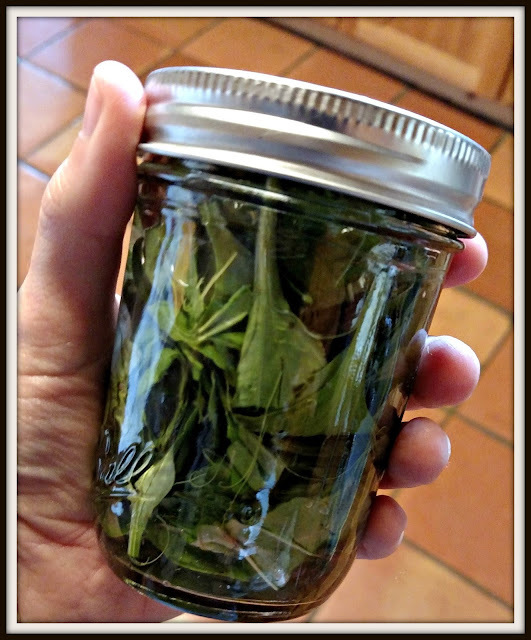 I made a tincture, which is still curing, so I haven't tried it yet. As plentiful as plantain is in our yard, it's something I could make more of easily. It's curing in 100 proof vodka right now, and I shake it once a day. Later, I'll strain it and bottle it. A dose is just 6-12 drops. Readers, do you use any herbal remedies? No shortage of that plant around here and there is also a narrow leaf version that puts up seed on tall stems. In the winter our horse will eat the narrow leaf but doesn't seem to eat the broad leaf version. Then I have seen him eat thistle so who knows. I fixed the broad leaf one as a green once and as long as you get young leaves that don't have the treads running through them, they made good greens and not as bitter as dandelion. I used to have it everywhere and I have read about it's properties before although never messed with it. The sheep LOVE it but then they are broadleaf eaters first and foremost. The horses won't touch it. I still get it in the yard but the sheep have pretty much gotten rid of it in their pastures. That is cool! Maybe that will help with those skin problems. The Dermaroot that we got to review hasn't helped Mica's orange peel skin under his chin at all. Maybe it would help with eczema, but it's not helping him. Yep, very plentiful around my parts too! We try to use herbal remedies as much as possible. Currently we're using essential oils for allergies and I've got a few medicinal herbal teas for various things, but I grew up as a doctor's daughter with strict western medicine. It's been a tough transition. Thanks for the information. I am trying to learn as much as I can about the use of herbs. It irritates me that with every doctor visit I seem to wind up with another prescription drug. Doctors appear to want to write a prescription rather than find an alternative. That has to stop....soon. Fascinating! Plus "tincture" is such an old-fashioned word that it sounds charming. I have not tried any herbal remedies. This is very interesting and wonderful that you have such a good supply of this herb. You'll have to let us know how it works for you. My mother had a relative who would tie on a necklace of garlic before she went outside to "prevent getting a cold". I doubt she attracted many people to her though! But you seem to have an admirable grasp of so many herbs and natural remedies, Lisa! OMG I would love to make this for myself. I order it off of Amazon for my dog and feel so silly. I bet homemaking it is healthier also! I believe we put him on it to help with internal bleeding and it has done the trick! lomatium tincture- from same friend, for daughter's lyme disease. just started it so no report on effects yet. That is so interesting. We enjoy reading about things you try! Have not seen this around my area. Yes we have a lot of herbs...some healing herbs around the house too . I don't think it grows around here, but I'm going to look for it, just in case! My only herbal remedy is aloe vera. I have a large plant growing in a pot. I did not know about the seeds! We have plenty of it, although not as much as dandelion.